If you’re a homeowner with a garage and you use it routinely, it’s easy to overlook some common issues that may arise from constant use. Life is always on the move, work and school may take up your schedule and monthly bills keep coming, so it’s no surprise that most people don’t necessarily find the time to perform routine maintenance on their automatic garage door system. One day you might notice that your door rattles and shakes more than it should or the motor is sluggish to open the door. After all, most problems are only identified after they’ve already become one. Following are some common garage door issues you may encounter if you’ve been letting your responsibilities slip. Whether you live in scorching desert heat with temperatures routinely soaring into the triple digits or in a dense wooded area with heavy rains, many environmental factors can wreak havoc on your equipment if you aren’t paying attention. You may see rusted bolts or oxidized joints that cause your door not to open as smoothly as it should. Garages aren’t usually insulated so if your door seals are rotted you may find unwanted critters in your home that have slipped in through the cracks. With some routine weekend checkups, you can identify these issues before they become worse. The constant strain your garage door endures on a routine basis can often result in shaking loose the screws holding everything together even with the best garage door opener installation. If your door once opened whisper quiet but now sounds like a street performance artist banging on overturned trashcans, you might need to tighten some bolts. Not only is it harsh and annoying but can signal you that panels, rollers or other equipment are ready to fall off. Going around and giving each bolt a quick turn with your hand can alert you to anything that needs tightening. It may seem like an obvious step, but with daily routines and busy schedules, it often goes overlooked. This is especially true if you keep your remote in your car and never take it out. If you pull up to your home and the door doesn’t open no matter how hard you press the button, this could be one very simple explanation and solution. 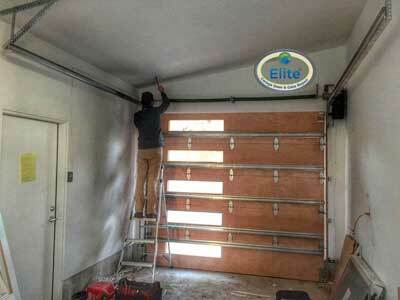 All types of automatic garage doors have some sort of emergency release system built in. This is to ensure that if you ever lose power or get locked in your garage, you can still get out by manually disconnecting it from the motor. It’s a simple process but also has some added benefits in your routine checkup. When the door is free from the motor, you can check the balance by rolling it halfway and observing whether or not it stays put. If it doesn’t or slams down instead, your door might be out of balance and you might need assistance from a professional garage door company. If you think you have it rough, your garage door springs and cables are under considerably more pressure to perform than you, I guarantee it. They are what counterbalances the weight of your garage door against the opener so that it can open and close it with minimal wear on the motor. A quick inspection of these parts will reveal any sagging or looseness in which case you’ll want to get these replaced as soon as possible. No matter how often you check the parts in your garage door system, it won’t roll smoothly if the tracks or rollers are gummed up. Often times debris such as workshop dust, dead insects, leaves and such, can block up the tracks that allow your garage door to open and close smoothly. In conjunction with that, the rollers inside the tracks can sometimes break or become stiff from lack of proper lubrication. Inspecting these elements together will give you an idea on whether you just need some WD-40 or if you need to call the professionals. If you pride yourself on keeping your home in top-notch shape every weekend, take an extra moment to look through your automatic garage door system. Unlike your routine daily and weekly chores, you can usually get away with a garage inspection once a month or so if you choose, but doing so can save you a considerable headache in the future. Many of issues laid out here are simple enough for anyone to do, but you should also know the limits of your own abilities. Lubricating and tightening bolts is one thing, but for complete replacement of parts, you should really consult a professional repair company that specializes in garage doors. When you’re dealing with springs or cables under pressure, one wrong move and you’ll be searching for your first aid kit. Hopefully this inspired you to pick up the habit of including your garage door in your cleaning routine. 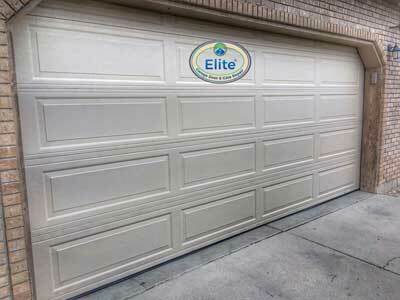 Ran K. is an experienced handyman who’s been working for Elite Garage Door for 10 years. When he’s not fixing garage doors, he likes to share his repairment ideas and knowledge with others.